Today’s one word prompt: ‘understanding’ can be looked at from different perspectives. For me it is about Acceptance of who I am and the opportunities I have had which helps me to understand where I am in life. I have often wondered why some of my peers have always been ahead of me in life. Some were able to buy houses, cars etc. yet I seem to struggle to make ends meet every month. First I accepted that I was from a very close knit family a situation which was brought about by our parents marriage breakdown. While some my of peers were given a head start by their parents the only money which I had was what I earned at the time I started working. My mother was never able to save any money because she brought us up on her own so I understood I could never be the same because my circumstances were different and because of that I accepted my life was about working extra hard and that any development was going to be at a slower pace compared to some of my peers from privileged up bringing. In response to the Daily writing prompt:’Identity’ many different things identify who I am, like my birth certificate which tells of my parents, my passport which tells of my nationality. I can go on listing the things that identify me. The way you are socialised forms part of your identity, my mother was a very hard working woman which instilled in me the work ethic in me. Through out my working life I have given of my best in every job I have done.While I reflect the way I was brought up which made me who I am, my faith has become my ‘identity’ as I have become my own person. Since my father had walked out on us and left my mother to bring us all up it can be argued that I never had a male role model in my life. At first I struggled to relate to God as father because of being deserted by my earthly father. However as I was nurtured in the christian faith I rose above the feelings of rejection to the knowledge of God’s love. It is always argued that children from broken homes are likely to go off the rail beacuse they have not had good parents as role models. I thank God that my grandma was a very God fearing person who was a support to my mother and helped her in bringing us up my own value systems were influenced by these two wonderful women who never forced faith on us but lived their faith as they brought us up. It is that way of life which is how I am identified with now, I hear people describe me as a ‘religious’ person which is good because that is all I have wanted to be. In response to the Daily post prompt: ‘Faraway’. Being faraway can mean being physically away from family,friends and familiar surroundings. The circumstances for being faraway can be by choice and sometimes it can be as a result of things beyound one’s control. For today’s post I have decided to focus on being mentally faraway yet physically present. My blog is about my daily encounters and have on several occassions been mentally faraway (absent minded) yet physically present. I have experienced being faraway while present when I have been stressed at work, you may leave your office with a problem which need to be sorted out yet you have no clue as how to sort it. You may be among people engaged in a conversation which you are not part of because you are in a world of your own weighing all the options you have in deciding on a possible solution. I remember when my marriage ended and the many times I was absent minded even when I was among my family who were trying to make things alright for me silently I was figuring out what had gone wrong that I had got to where I was. I was physically present but mentally absent as my mind wondered away to far away places seeking how I could have avoided what happened to me. This state of mind is not a good place to be as it can easily develop into depression, I am glad that for me it never got to that because I quickly rescued myself. In response to the DPP: ‘Legacy’ according to the Collins dictionary the word means – first money or property left to someone by a will; second something handed down. Both meanings refer to a situation which happens when someone is no longer physically present. Like I have said in other posts in this blog, I was brought up by a single parent who worked 24/7 for the best part of her to just make sure that as a family we had a roof over our heads and enough food on our table. While my mum would have loved to save up some money to leave for us her children it was never going to happen all she managed to do was to send us six children to school. The first legacy my mum left for each one of her children was the investment she made into our education, while there was no hard cash left for us when she died that investment she made ineachof our individuals lives enabled each of us to make a life of our own is the legacy inits own. What I value most though is the second understanding of legacy, the things my mum handed down to us her children which no-one can ever take away from us. My mum handed down to us a work ethic which is about giving your all, and your best and working hard in your chosen career. She also handed down to us the importance of valueing relationship especially family bonds because relationships provide support networks which lessen stress levels. I could go on writing about the many things my mum handed down to us- for me this is the kind of legacy I am proud to have inherited. Reading posts from my fellow bloggers who I follow and those who do the daily prompts I saw that quite a few had reviewed the posts for 2015 each having a different take to what they were doing with the information they collected on the posts they posted on their blog in 2015. Part of me wanted to do the same but decided against it because of what I thought I would find out about my writing – I was afraid that my fear of no-one being drawn to read my posts would be confirmed and what that revelation would do to my aspiration of wanting to be a writer. The more I read other people’s reviews the more I plucked up courage to look back to 2015 to see what I had done. Although I started blogging in 2011 perhaps I only wrote a post once in six months which explains that all in all I have only written 179 posts to date. It is only since 2014 after regestering to do the Blogging 101 that things started happening I was writing regularly and actually enjoying posting on a daily basis. Looking back to 2015 was very telling, I was surprised that there were fellow bloggers who found my posts worth reading. Some of them on a regular basis which I am truly grateful as these fellow bloggers have boosted my confidence in writing. 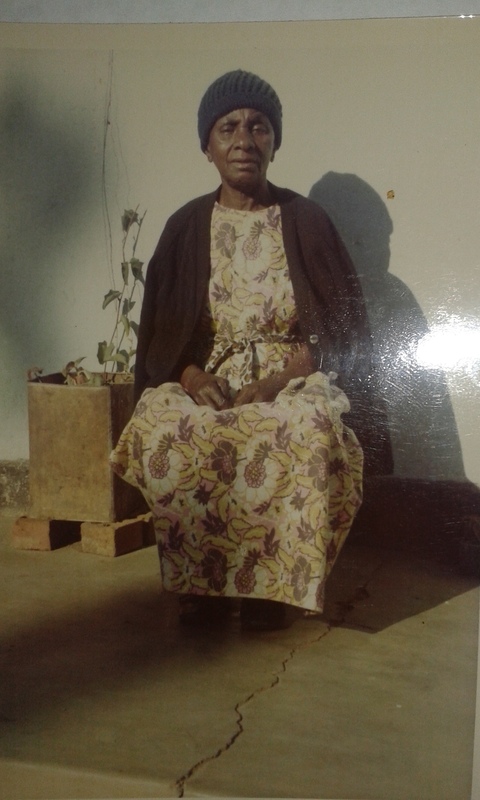 The most popular post was one titled ‘My grandma’ which I posted on the 26.10.2015. The prompt was about one’s priced possessions for me its my relationships, my grand mother was and continue to be priceless as she was one in a million. This post got seven likes to others this may seem insignificant but to me who never seem to attract many viewers the seven likes were the best ever. I am glad it was the post about my very special grandma so to me those seven likes were seven thousand. I am as committed as ever to continue writing posts in 2016 despite the few viewers and visitors to my blog. In other posts on this blog I have shared about my visit back home in May for a family wedding. It was such a memorable time as the whole clan had an opportunity of being together after a long time. First cousins who had not seen each other since birth now were meeting for the first time. As a family we were so glad that everything worked well. The one thing they enjoyed doing together was having cereal in bed watching cartoons! Watching this TRIO getting on despite their language hurdle was the best thing through out the holiday it was great. In response to the Daily writing post prompt: ‘Pride and Joy’ This got me reflecting about my worldly possessions, it was interesting to realise that life for me has never been about what I own in terms of wordly goods. I have never owned a car apart from the car which went with my job so the car was not really mine as I stopped working for this organisation I had to hand over the car. I am homeless because all the houses I ever lived in as the car went with my job. Honestly speaking I do not have any thing in terms of wordly goods which can be termed as prized possession. The more I thought about this prompt the more I realised it is only the worldy possessions you can put a prize tag but I do have relationships which are very special i.e.my granny,mother and siblings are what I have and can never be replaceable. My grandma played a very important role in my life. At age six my parents had me living and brought up by my grandma partly that she would not live on her own since my grandpa had died. Living with my grandma was the best thing that ever happened to me. She was the most loving and God fearing person I have ever known. I am what I am today because of the love my granny gave to me. A person who never sought to pay back to those who treated her badly always forgiving was a quality which characterised her life. What she was tome and continue to even if she is no longer around is priceless. The time I really wanted to say something was when my marriage broke down. The reason why I never said anything was that I was too heartbroken to say what I felt at the time. For some reason I felt as if everyone was judging me about what had happened, to those who cared to talk to me and listen to my side of the story understood the trauma I was going through as I had not prepared myself enough for what was happening to me. What I wanted to say was ‘Please do do not jump into conclusions about any situation before you hear both sides to the story’ I am naturally a self opinionated person and people had said my marriage would not last because of the kind of person I am and when every thing went pear shaped I was so scared that people would say they told me so and yet that was not the reason my marriage broke down. It seemed those who were judging me had refused to listen to what I had to say about the break up. All I would have wanted to say was there are two people in any marriage relationship, and they are the only ones who know exactly what may have gone wrong, the only problem is where the other party is not prepared to sit down with other and tell people what may have gone wrong. If the two parties talk about their breakdown each one would be tempted to present themselves as the aggrieved one but if they are put together truth would emerge. The other thing I would have said at the time was that friends should be open and willing to listen honestly to both parties. The reason I say so is that no matter how close you may have been to either party you would not know the truth as there things which may be told in full to friends. Now that I have been able to process my own situation and understood it with the benefit of hindsight I feel more strongly that people who may want to comment in a situation like mine should take time to get the facts right about the situation. I think the best thing to do when you are not sure about the facts is not to say anything. When any parent brings up a child the one thing they work hard to do is instil values that make that child a better person. The two words which most children are introduced to from an early stage are ‘please and thank you’ these may sound fairly straight forward but they lay the necessary foundations of knowing how to be a descent person. As I grew up I had a lot which were instilled in me and have tried to live by them and have been a guiding force as to how I have conducted my life. The first one which I will forever thank my mum for instilling in me was a ‘work ethic’ my mother always made sure we took pride in working hard, simple things like tiding up our family home sharing the house chores and never taking advantage of the other siblings where the building blocks of a life style. I am not a particularly clever person but because of working hard I managed to go through my education had I not put on the extra hard work I do not think I would have got to where I am today. This continued in my career life whatever work I was hired to do naturally I worked hard to produce the best I could offer. The second value is acknowledging ones mistakes accepting when I have got it wrong and to say I am sorry. I am a person who has my own opinions and can be stubborn sometimes thinking that my opinons are the right ones. However if it happens that I am wrong I am the one who is quick to acknowledge that I am wrong. Sometimes it can be very humiliating to admit that I am wrong but it is a value I hold dear so no matter how hard it can be I am happier when I have accepted my mistakes. I could go on and own but the last value is loyalty be it in my relationships I am a very loyal friend, be it in my work place loyalty is something I feel makes me feel I belong to the organisation I work for as it helps me to act like I own the organisation that ownership helps me not to ever want to see that organisation fail because of my not giving it my hundred percent. These and many other values have contributed to the confident and strong person I have become. Life can be tough sometimes when things have not always gone the way I would have liked it to be but some how these values have given me reasons to keep going on in what ever circumstances I find my self. For life to be lived to the value one needs some values as guiding line.